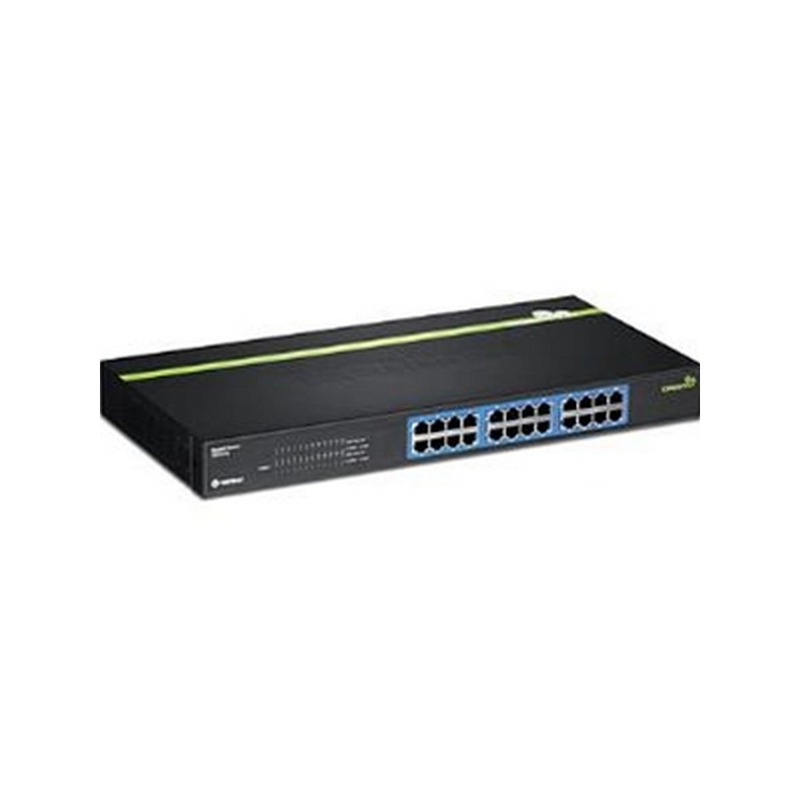 The 24-Port Gigabit GREENnet Switch, model TEG-S24g, provides high bandwidth performance, ease of use and reliability, all while reducing power consumption by up to 70%*. GREENnet technology automatically adjusts power voltage as needed, resulting in substantial energy savings. Embedded GREENnet technology works right out of the box with no management requirement. 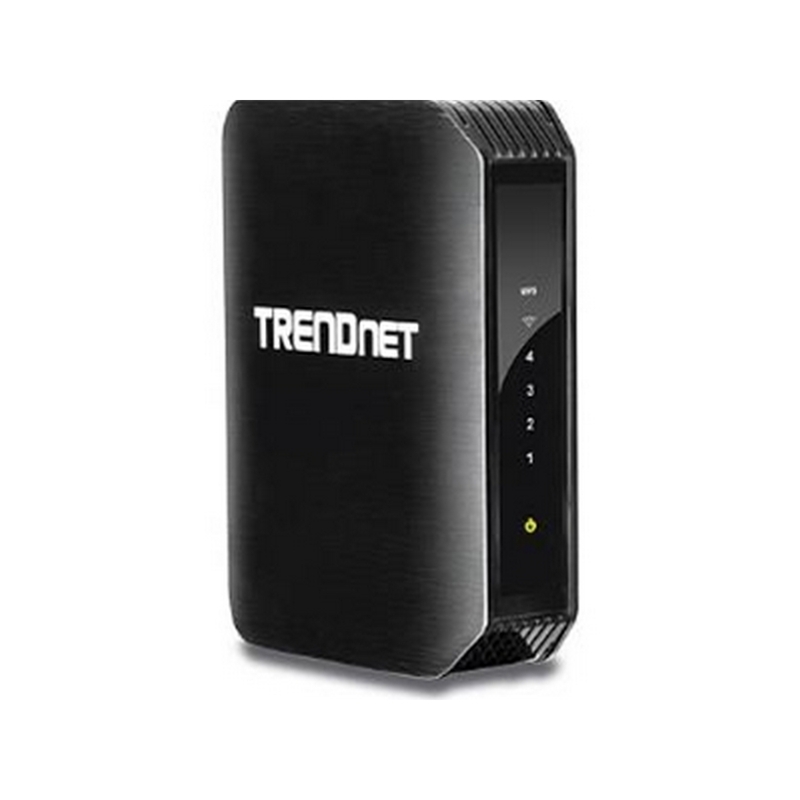 Boost office network efficiency and eliminate network congestion with Gigabit speeds and a total switching capacity of 48Gbps with Full-Duplex mode. 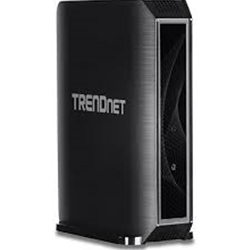 A built in universal power supply reduces cable clutter and diagnostic LEDs help with network troubleshooting. 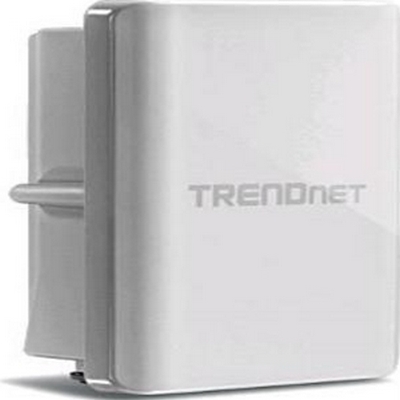 Plug and Play this sturdy metal switch for reliable high-speed network connectivity. 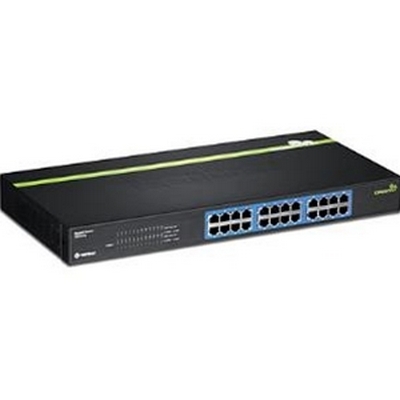 The TPE-TG44G 8-Port Gigabit GREENnet PoE+ Switch from TRENDnet offers users 4 x Gigabit PoE/PoE+ ports, 4 x Gigabit ports, a 16 Gbps switching capacity, and a PoE power budget of 60W. 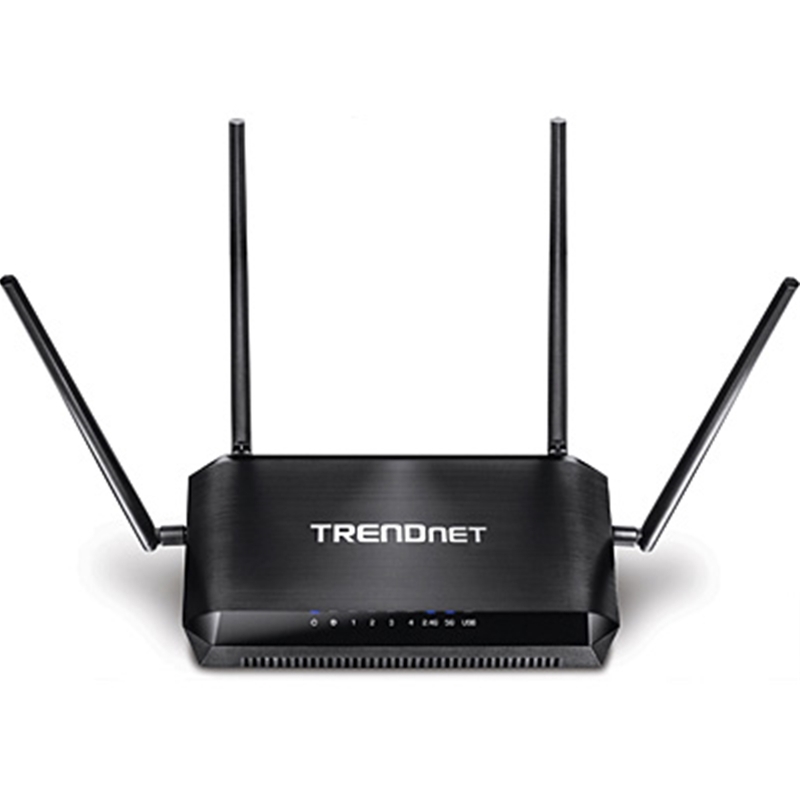 It supports IEEE 802.3, 802.3u, 802.3x, 802.3ab, 802.3af, 802.3at, and 802.3az standards and Ethernet data transfer rates of 10 Mbps (half duplex) and 20 Mbps (full duplex), Fast Ethernet data transfer rates of 100 Mbps (half duplex) and 200 Mbps (full duplex), and Gigabit data transfer rates up to 2,000 Mbps (full duplex). 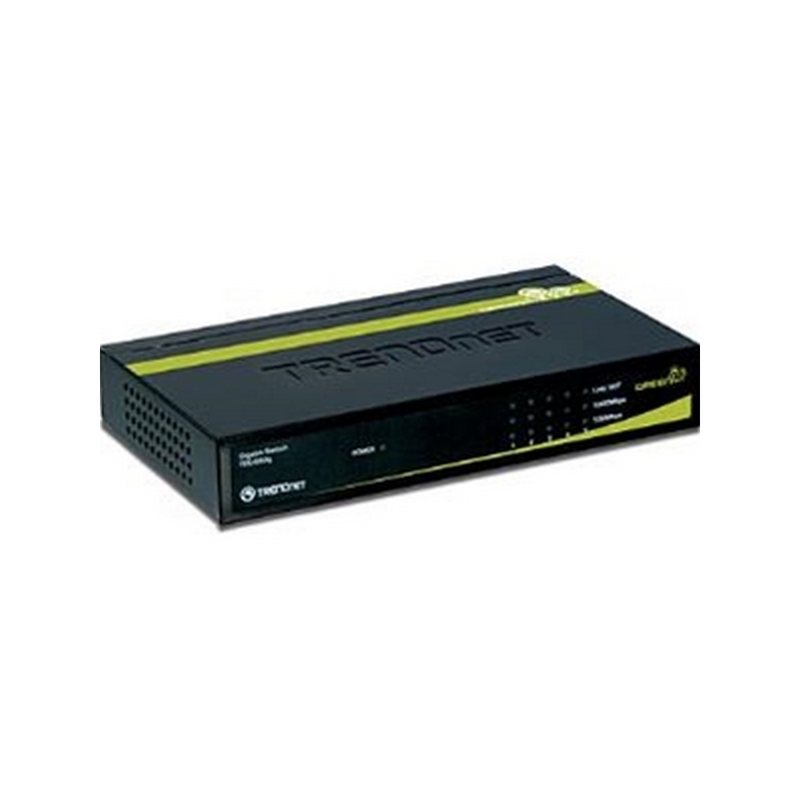 The TPE-TG44G allows for an easy and convenient network configuration and users can take advantage of a variety of features that make this switch easy to setup and manage. 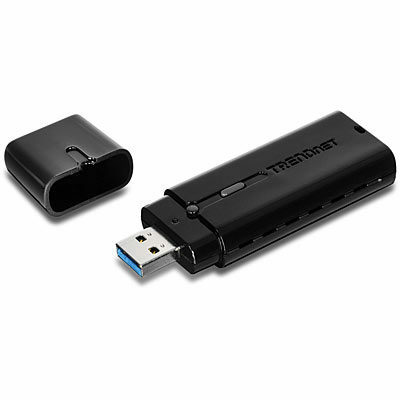 Initially, the Plug and Play functionality gets you going with minimal setup needed. 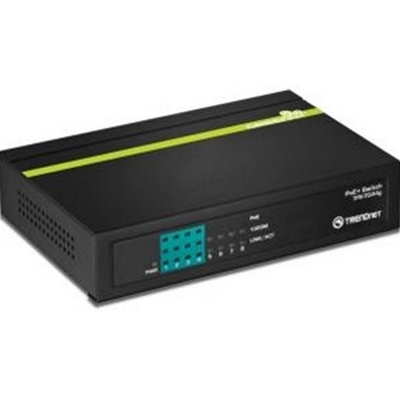 Once plugged in you can then take advantage of the Power over Ethernet capabilities of this switch. 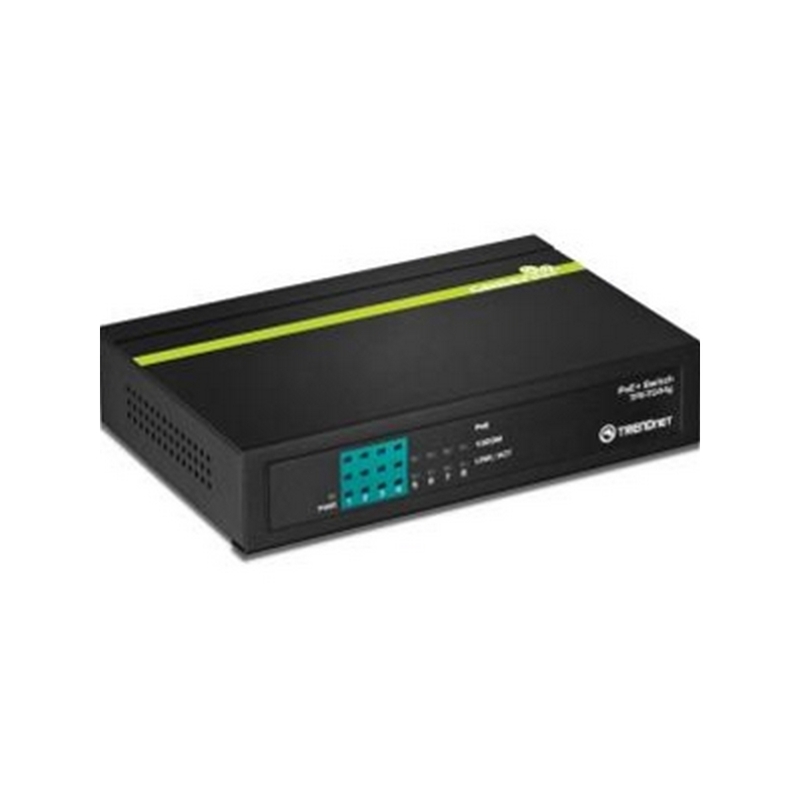 Power over Ethernet, or PoE, enables you to run power through the Ethernet cabling to compatible devices, such as wireless access points, Internet cameras, VoIP telephony systems, and more, eliminating the need for additional power sources. This switch recognizes non-PoE, PoE, and PoE+ devices and will automatically supply the required amount of power. PoE devices receive up to 15.4W, while PoE+ devices receive up to 30W. The full duplex ports found on this switch help to enable consistent data transfer. 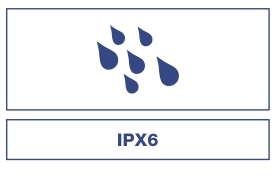 Full duplex ports allow for simultaneous data transfer that not only increases data speeds, but also increases efficiency, as data no longer has to wait to be transferred. 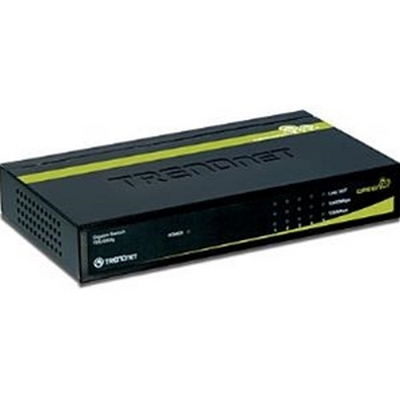 This TRENDnet switch also gives you more ports, thus allowing for increased connections. 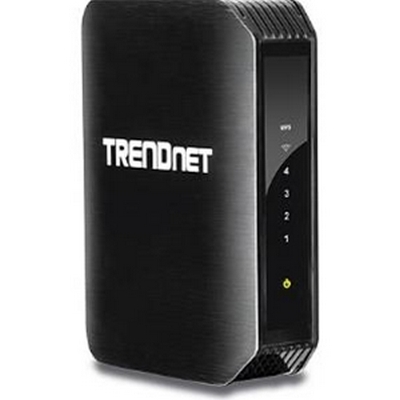 With an enhanced switching capacity, you will have the expanded ability to transfer more data faster. With integrated LED indicators, you no longer need to delve into the configuration settings of the switch to display its various aspects. The on-off switch allows for increased power efficiency, making it simple to turn off the switch when not in use. 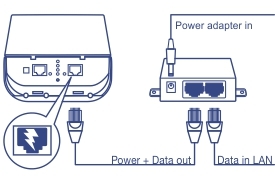 If you have non-PoE devices connected to the switch, the switch automatically recognizes them, cutting the power to those devices to conserve power. 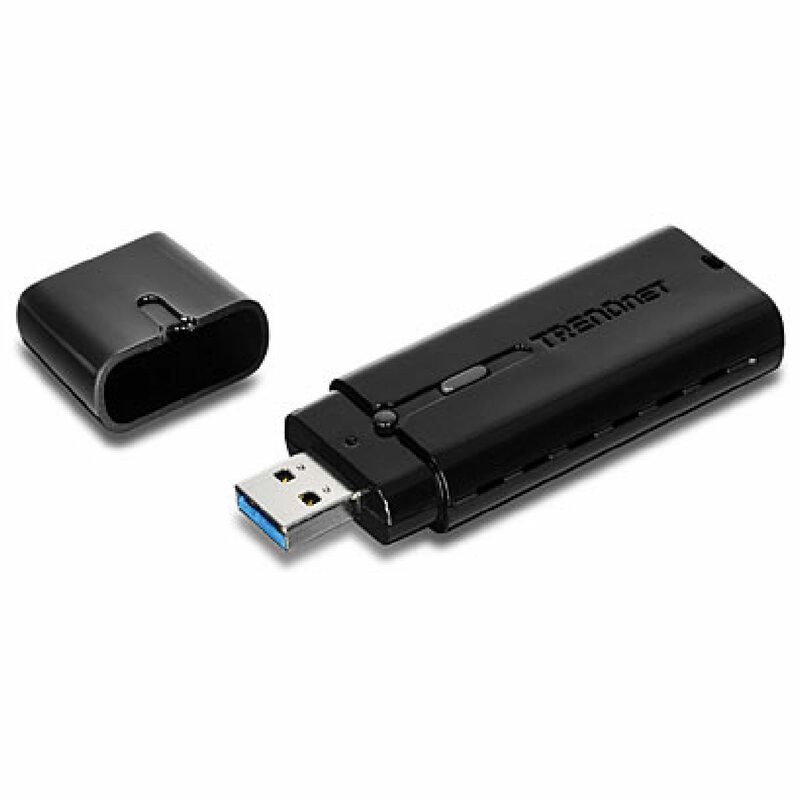 The TPE-TG44G operates using 100 - 240 VAC at 50/60 Hz and 1.5A. It includes a 52 VDC / 1.38A power adapter. Power over Ethernet, or PoE technology, describes a system to pass electrical power safely, along with data, over Ethernet cabling. 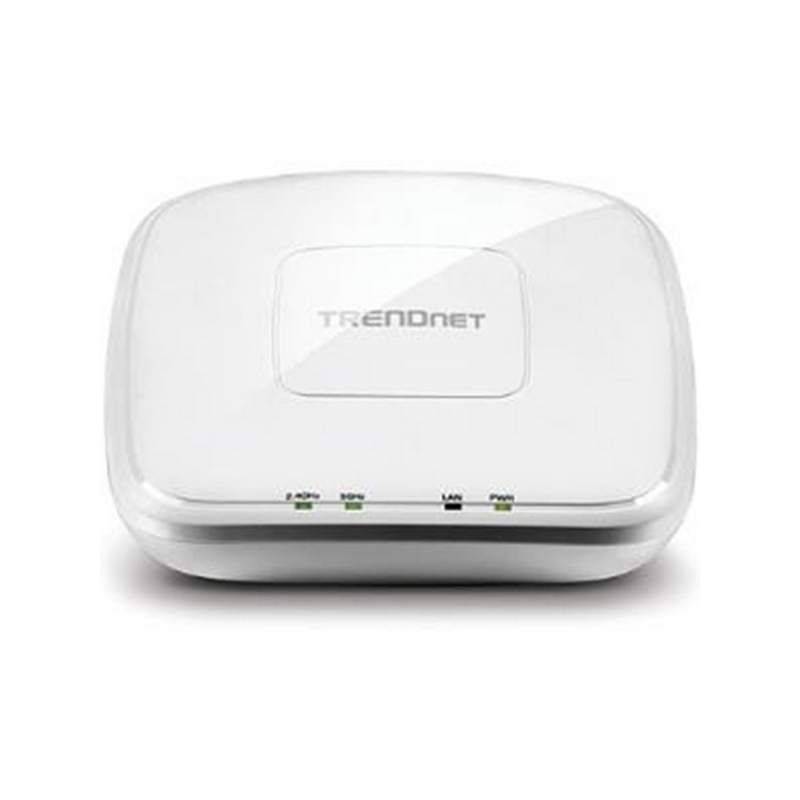 The TrendNet PoE switch allows for Power Over Ethernet capability, which in turn helps to reduce equipment cost by delivering data and power over existing network cables. By providing power over Ethernet cabling you now have the ability to utilize various components such as IP security cameras, network routers, network webcams, wireless access points, remote point of sale kiosks and a variety of devices compatible with power over Ethernet. 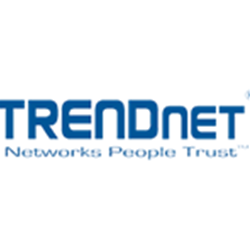 The 10/100Mbps full duplex PoE ports found on the TrendNet Switch work by making simultaneous use of two physical pairs of twisted cable inside the jacket, wherein one pair is used for receiving packets while the other is used for sending packets. This effectively makes the cable itself a collision-free environment and doubles the maximum data capacity that can be supported by the connection. 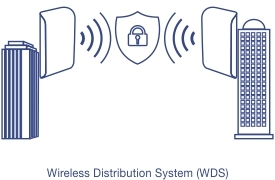 Some of the benefits of utilizing a full duplex configuration include increased efficiency, availability of full data capacity in both directions, and the eliminated need for nodes having to wait until others complete their transmission. Plug and play is a term used to describe the characteristics of a variety of computer devices and peripherals. 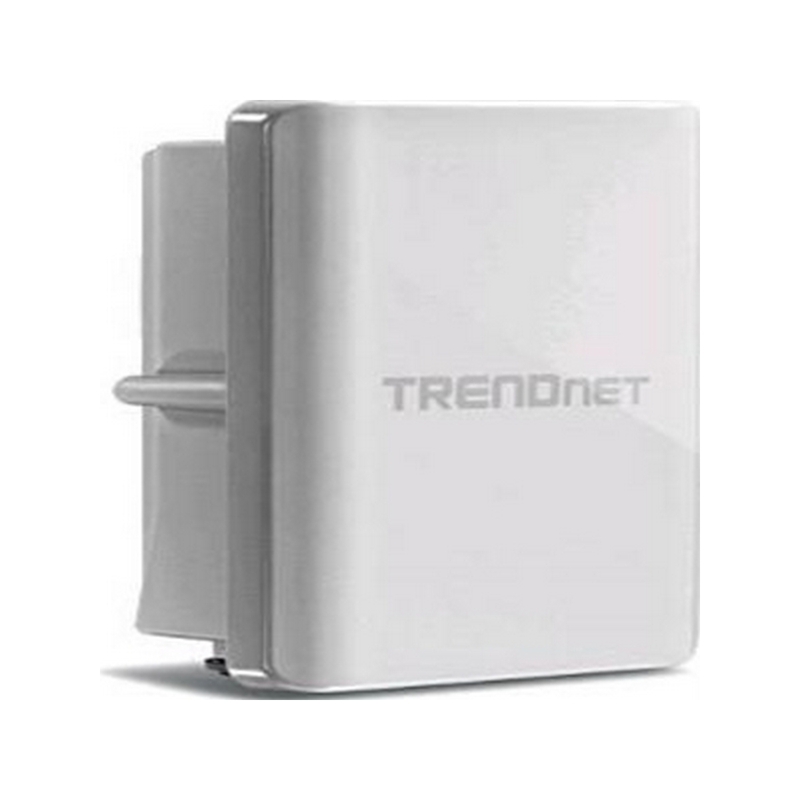 The TrendNet Switch can be referred to as a plug and play device as there is minimal configuration necessary to get the device up and running. 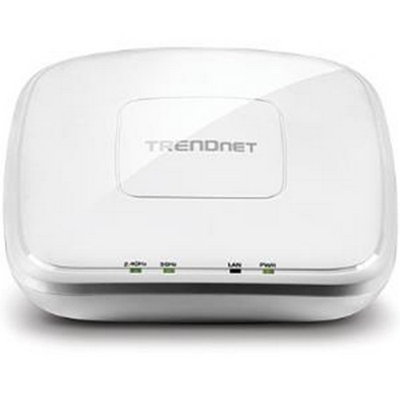 With diagnostic LEDs you have the ability to see the status of the network. With LEDs displaying power, link/activity, and PoE/status you no longer have to dig into the configuration settings of the switch to see just how well the switch is performing. TRENDnet’s 10 dBi Wireless N300 Outdoor PoE Preconfigured Point-to-Point Bridge Kit, model TEW-740APBO2K, provides Wireless N300 point-to-point connectivity. 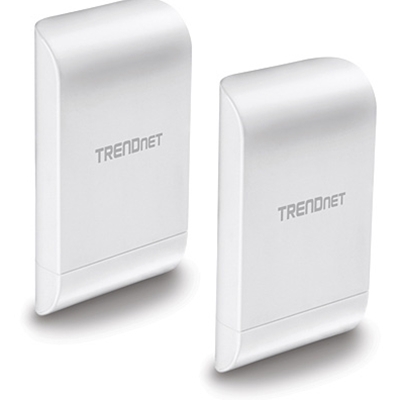 This preconfigured kit provides installers the simplest way to create a long distance wireless point-to-point bridge. 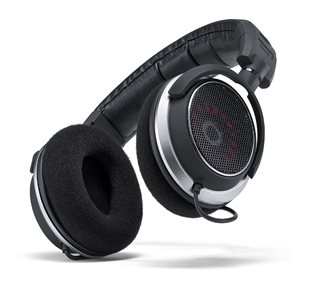 Conveniently link two locations together with wireless N speed and performance. 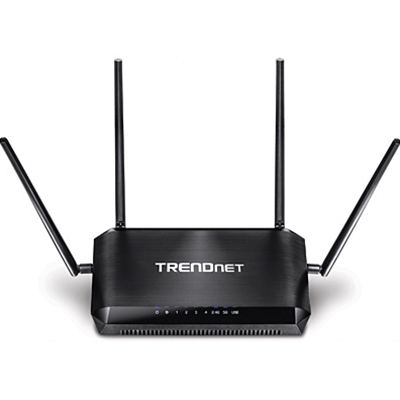 Trendnet AC1750 Dual band wireless router with stream boost. USB share port. Replaced the tew752dru.